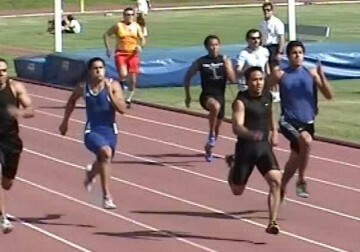 Congratulations to the Pearl City Boys Track Team for Winning the 2004 HHSAA State Track & Field Championships! finishing in 8th in a rainy day for a track meet. for winning the Team Titles at the O.I.A. 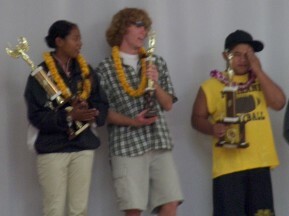 winning the meet MVP awards. from Edmonton, Alberta, Canada to participate in our meet. for the morning-afternoon meet on Saturday March 20.
on Saturday. 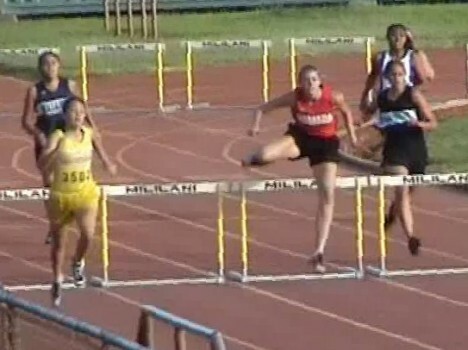 The hurdlers showed much improvement. 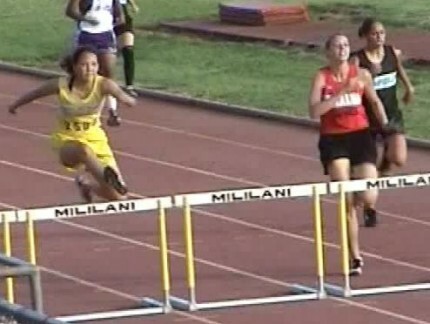 winning the 2004 Brown & Gold meet on Fri. March 5. Brown & Gold Results Coming Soon! for the 2004 Oahu Perimeter Relay early Sunday morning. to a much colder climate. 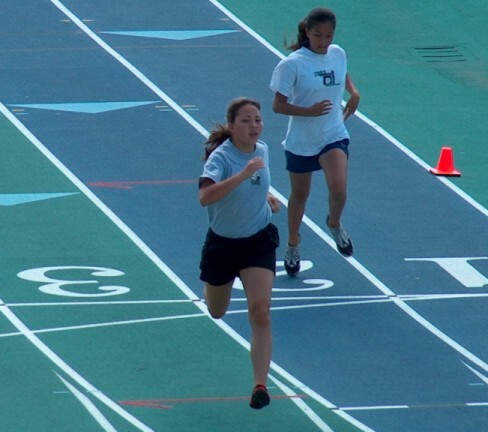 for winning the 2004 Trojan Pentathlon. High Jump Record with a height of 4' 11"
the Boys Long Jump Record with a jump of 21' 3"
Mark Akiu broke the Boys Pentathlon High Jump Record with 5' 10". Thanks to all who helped make the Ohana Festival Fundraiser a big success. at the Big Ten Championships, and qualified provisionally for the NCAA Championships.